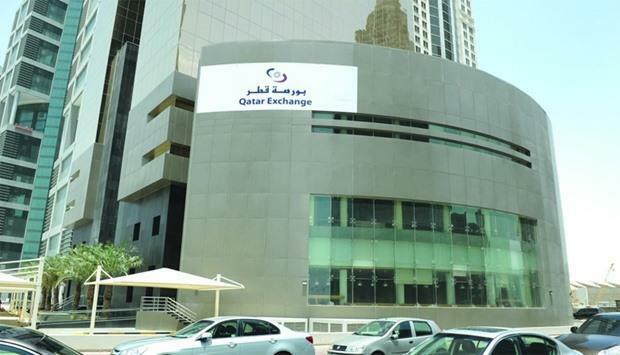 The Qatar Stock Exchange (QSE) witnessed 189 points addition to its key benchmark and QR5bn in capitalisation this week which witnessed more than doubled trading volume and turnover. Foreign institutions turned net buyers this week which saw Gulf International Services (GIS) has embarked on a robust strategy, which includes overseas expansion of its aviation arm, as it pins hopes on medium to long term prospects. Telecom, consumer goods and industrials counters witnessed higher demand this week which saw Mesaieed Petrochemical Holding (MPHC) finding place under global index compiler FTSE Russell's large cap segment. Local retail investors and domestic funds turned profit takers as the 20-stock Qatar Index plunged 1.94% this week which also saw FTSE Russell include Woqod and Qatar Insurance within midcap segments. More than 52% of the traded constituents extended gains this week which saw Qamco puts in a 'strict business plan with special emphasis on cost optimisation as part of its efforts to enhance efficiency. Major losers included Ooredoo, Milaha, Commercial Bank, Qatar Islamic Bank, Masraf Al Rayan, Qatari German Company for Medical Devices, Industries Qatar, Dlala, Qatari Investors Group, Qatar Electricity and Water, MPHC, Qatar Insurance and Al Khaleej Takaful; even as QIIB, Nakilat, Ezdan, GIS, United Development Company and Gulf Warehousing were among the losers this week which saw no trading of sovereign bonds and treasury bills. Islamic stocks were seen gaining slower than the other indices in the market this week which saw Qatar's producer price index declined marginally year-on-year in January this year despite increased earnings for hydrocarbons sector. The Total Return Index soared 2.27%, All Share Index by 1.22% and Al Rayan Islamic Index (Price) by 0.76% this week which saw as many as 4,679 Masraf Al Rayan bank sponsored exchange traded fund QATR valued at 0.12mn traded across 12 transactions. The telecom index surged 5.91%, consumer goods (3.88%), industrials (2.63%), banks and financial services (1.26%), transport (0.92%) and insurance (0.69%); whereas real estate plummeted 6.41% this week which saw industrials, realty and banking segments together account for more than 77% of total trade volume. The industrials sectors constituted 44% of the total volume, real estate (19%), banks and financial services (14%), insurance (10%), consumer goods (6%), and telecom and transport (4% each) this week which saw a total of 30,967 Doha Bank sponsored QETF worth QR3.1mn changed hands across nine deals. In terms of value, industrials' share was 29%, consumer goods (24%), banks and financial services (19%), real estate (11%), insurance (10%), telecom (4%) and transport (3%) this week which saw Doha's non-hydrocarbon private sector witnessed a further increase in employment in view of growing confidence on the businesses over the 12-month period. Foreign institutions turned net buyers to the tune of QR436.62mn compared with net sellers of QR42.7mn a week ago. However, Qatari retail investors turned net sellers to the extent of QR238.67mn against net buyers of QR0.48mn a week ago. Domestic funds were also net sellers to the tune of QR161.68mn compared with net buyers of QR56.17mn the week ended March 7. Non-Qatari individuals' net profit booking increased noticeably to QR36.26mn against QR13.95mn a week ago. Total trade volume more than doubled to 75.63mn shares and value also more than doubled to QR2.48bn on 33% rise in transactions to 31,056 this week. The insurance sector's trade volume grew more than six-fold to 7.28mn equities and value also by more than six-fold to QR248.61mn on more than doubled deals to 2,258. The consumer goods sector's trade volume increased more than five-fold to 4.73mn stocks and value by more than seven-fold to QR590.47mn on more than doubled transactions to 2,771. The real estate sector's trade volume more than doubled to 14.52mn shares and value also more than doubled to QR263.48mn on 71% growth in deals to 6,600. The industrials sector's trade volume more than doubled to 33.21mn equities and value also more than doubled to QR721.92mn on 21% expansion in transactions to 10,734. The transport sector reported 84% surge in trade volume to 2.67mn stocks leading to more than doubled value to QR77.4mn on 29% jump in deals to 1,385. The banks and financial sector's trade volume soared 70% to 10.57mn shares, value by 59% to QR479.64n and transactions by 2% to 5,264. There was 2% rise in the telecom sector's trade volume to 2.67mn equities and 76% in value to QR102.07mn but on less than 1% fall in deals to 2,044.